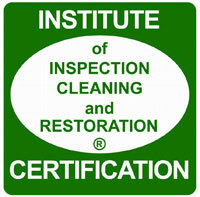 The International Certified Floorcovering Installers Associa­tion (CFI) has announced that Michael Fehrenbach of Fehrenbach's Flooring Plus in Lewes has qualified, through education and examination, as CFI-Certified floorcovering installer spe­cializing in residential and com­mercial installation. In order to achieve this designation, the craftsperson must sacrifice many hours and a great deal of time and study which is maintained through the requirements of a continuing education program. Jim Walker, CFI executive di­rector, said, "Michael Fehrenbach is an example of the type of individual who cares about the cus­tomer as well as the industry. He has demonstrated the desire to provide customers with thorough, professional and caring service and understands that customer satisfaction is the ultimate goal." The CFI is a nonprofit certify­ing and standard-setting organiza­tion established in 1993 in Kansas City, Mo. The organization is ded­icated to raising installation stan­dards through technical proficien­cy. By administering a strict process of certification through both written and hands-on testing, the CFI provides a means through which consumers can receive the highest quality service from skilled, knowledgeable, professional floor covering installers. Fehrenbach joins the ranks of thousands of true professionals within the installation industry committed to customer satisfac­tion.